1. Preheat oven at 325 degrees F.
2. Set cream cheese out to soften. 3. Fill a medium pot about 2/3 of the way with water. Bring to boil. Add lobster tails. You will notice that the shells will begin to turn red almost immediately. Boil for approximately 8-10 minutes. The lobster tails will become slightly curled. 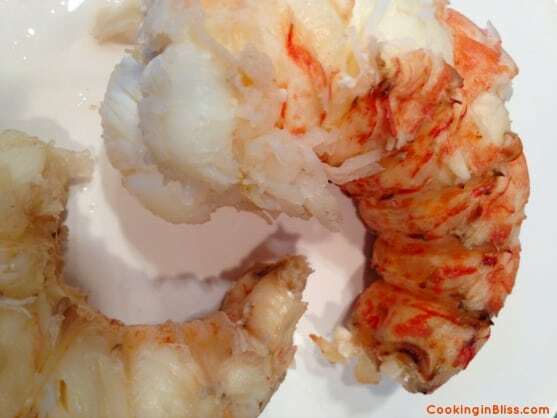 Remove lobster tails from water. Set aside on cutting board and let cool for 5 minutes. 4. Using scissors, cut down the center of each shell. With your fingers, pull the shell away until it breaks away from the meat. Do this until the shell is completely removed from the meat. Discard shell. 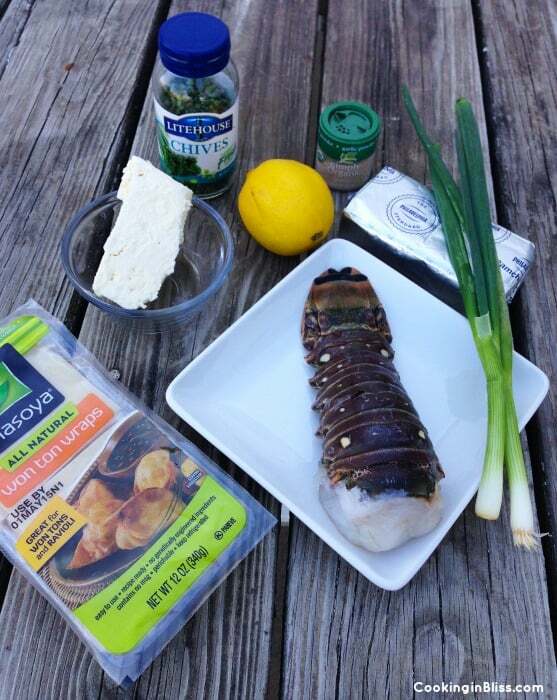 Chop the lobster into small pieces. Set aside. 5. Chop green onion into tiny pieces. Add cream cheese, green onion, chives, crumbled feta cheese, lemon, garlic powder, and salt & pepper to taste to medium mixing bowl. Mix until ingredients are evenly distributed. Add lobster pieces to mixing bowl. Stir. 6. 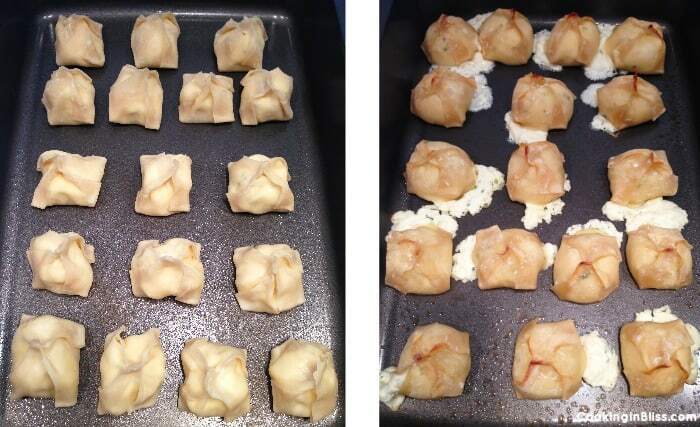 Place individual wonton squares onto a cutting board. Scoop a small spoonful of cream cheese mixture onto the center of each square. Wet all four sides of each square. Pinch opposing tips together and fold sides down. 7. Spray a baking sheet with nonstick spray. 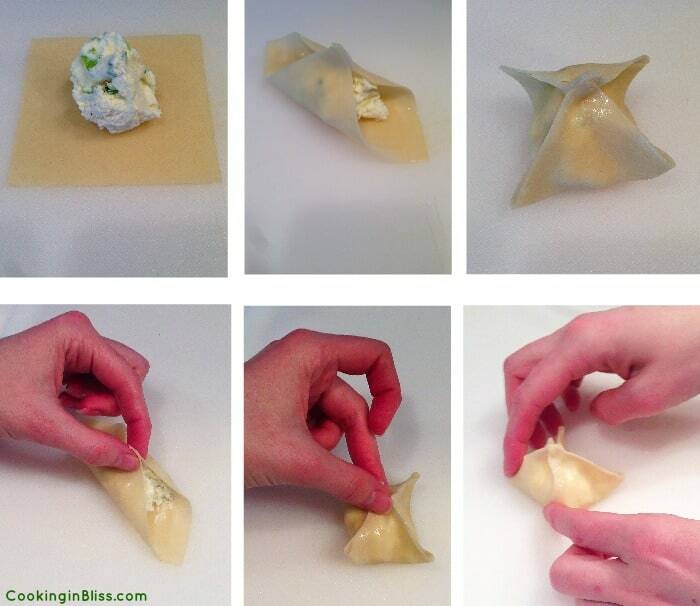 Place each cream cheese filled wonton onto the sheet. Cook in oven for approximately 10 minutes or just until crispy. Remove and enjoy your lobster rangoon wontons with soy sauce! 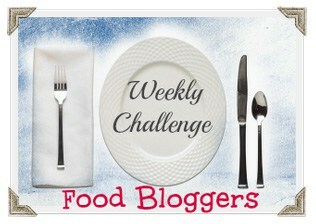 Also try my Lobster Cakes recipe! 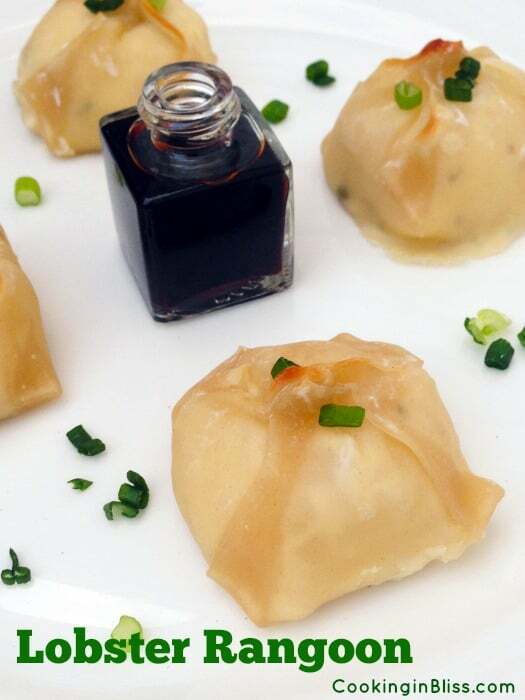 That is wantons not rangoon which is fried.